The people were great. The weather was beautiful. The selection of items was amazing. The food was fantastic. The sound system worked great. 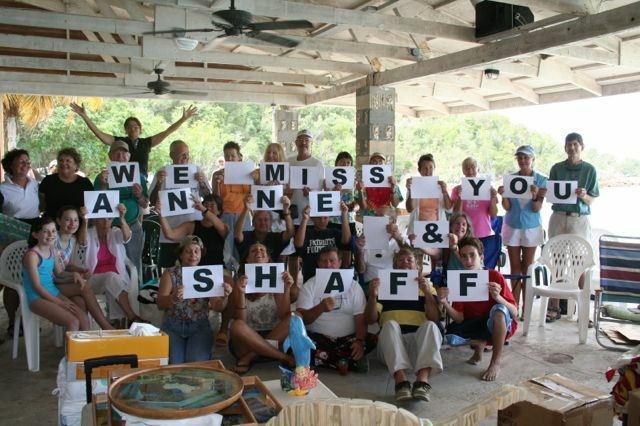 The only way it could have been better is if Anne & Shaff were there. The 2008 Water Island Civic Association Auction was a huge success! Many people donated countless time and effort. However, if it was not for Bob & Mercy Blosser it would not have been as successful. They both lived and breathed the Auction for weeks, if not months. A big "Thank You" to Bob & Mercy! 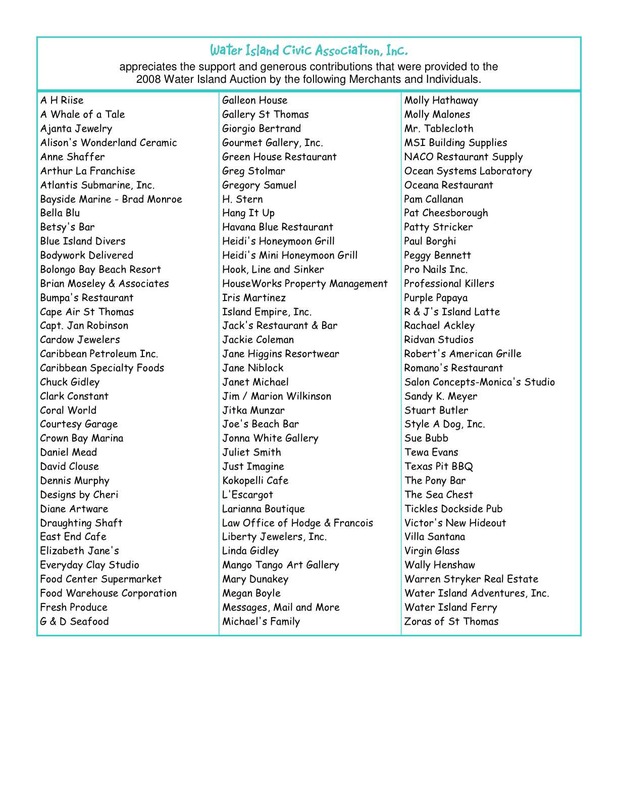 Speaking of "Thanks", below is a list (we hope we didn't miss anyone) of those individuals and companies that donated to the WICA Auction. Your generosity is greatly appreciated.